Just a week before his own suicide, Jeremy Richman flew down to Florida to deliver a talk he called “The Neuroscience of Being Human(e).” In it, the 49-year-old neuropharmacologist examined how brain research might help identify people in crisis, so we could better intervene and assist those at risk of violence to themselves or others. 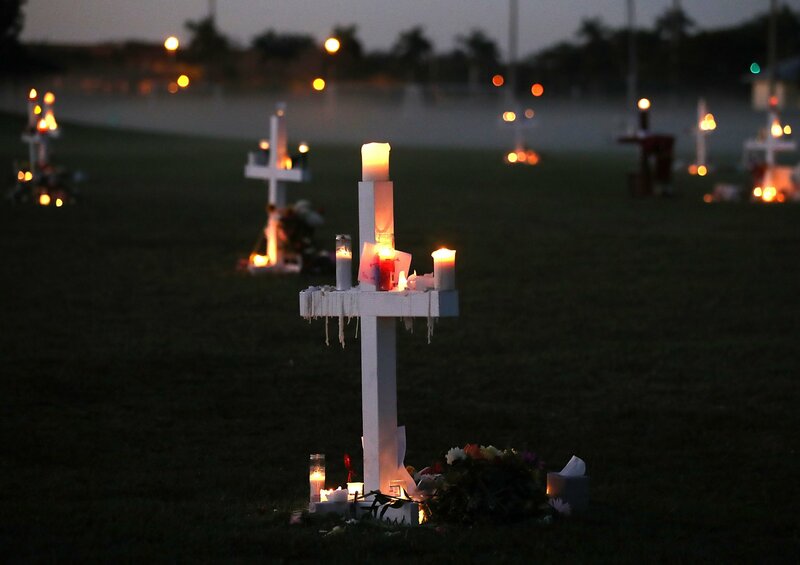 The topic could not have been timelier: Two days before Richman’s keynote presentation on March 19, a student who had survived the massacre on February 14, 2018, at Marjory Stoneman Douglas High School in Parkland, Florida, took her own life, and another would do the same the following weekend. Meanwhile, in the United States, the number of people who die each year by suicide has jumped from 29,000 in 1999 to 47,000 in 2017. It was also a subject Richman cared deeply about. On December 14, 2012, he and his wife, Jennifer Hensel, lost their little girl Avielle, 6, when a troubled teenager stormed Sandy Hook Elementary School in Newtown, Connecticut, and killed her and 25 others before shooting himself. Within 48 blurry hours, Richman would later recall, he and his wife had resolved to channel their grief into action, establishing a foundation in the name of their daughter to fund brain research to both prevent violence and build compassion. 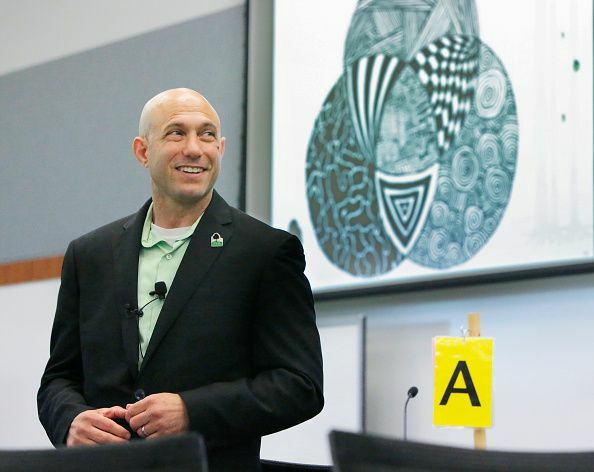 To help run it, Richman, who had earned a doctorate in pharmacology and toxicology from the University of Arizona, left his job working in drug discovery and focused full time on the issue. In the area of suicide, there was plenty for Richman to discuss in his presentation at Florida Atlantic University. In recent years, neuroscientists have made dramatic strides in their ability to recognize those who are most at risk—identifying distinct anatomical characteristics in the brains of those more predisposed to take their own lives, as well as distinct neural activation patterns elicited by specific words in the brains of those with suicidal ideations. For all his efforts as a tireless promoter of his cause, though, in the end, nobody was able to prevent Richman from ending his life. The fact that an expert in brain health was felled by one of the conditions he devoted himself to combat is a cruel irony. But researchers who study suicide and its connection to the brain aren’t surprised. In many ways, it gets to the heart of what they have discovered. In recent years, many new insights have begun to emerge—and one of the key findings is that knowledge is no protector. Suicide, several experts note, is one of the leading causes of death in medical students and young doctors, even those specializing in psychiatry. Still, the effort Richman promoted through his foundation is making progress—and has made giant leaps in recent years. It was catalyzed more than 25 years ago, when psychiatrists and neuroscientists at Columbia University and the New York State Psychiatric Institute made a discovery. To better understand the pathology of depression, a team of researchers had begun collecting from medical examiners the brains of individuals who had died by suicide, reasoning that all of them were likely depressed. 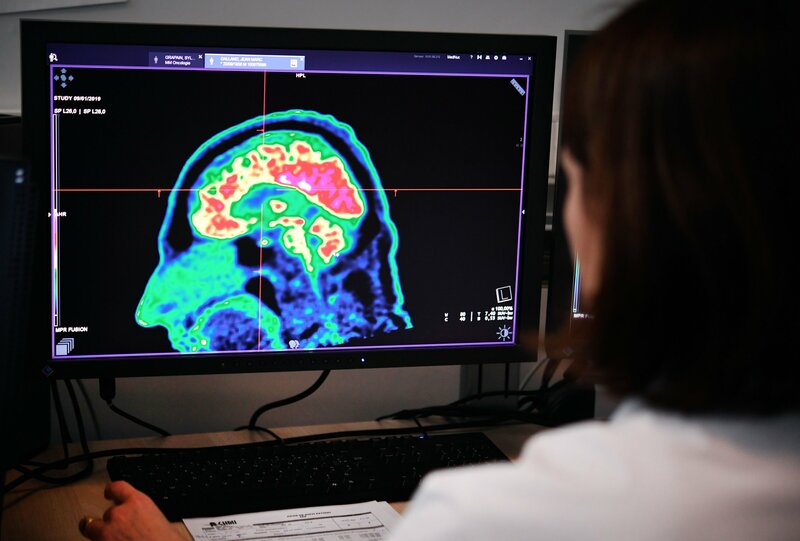 But when the team spoke to the families who had donated the brains of their loved ones, they uncovered something surprising: Roughly half of the deceased didn’t have depression as an illness. Even more surprising, as the team began comparing the brains against one another, as well as against the brains of individuals who died of natural causes, they found an identifiable constellation of neurological characteristics present in a much higher degree among those who had died by suicide, regardless of whether they had depression. “Nobody at that time had any idea that there was a separate phenomenon of brain abnormalities associated with suicide,” says Dr. J. John Mann, vice chair for research in the psychiatry department at Columbia University, who was one of the neuroscientists who made the discovery. For the past two and a half decades, Mann and his collaborators have been working to characterize these differences between individuals with and without suicidal tendencies. They have performed biochemical analyses on the neurotransmitter systems of donated brains, measuring connectivity, and used brain imaging techniques to study neural patterns. Ninety percent of suicidal individuals, the researchers found, suffered from one form of mental illness or another at the time of death. And among individuals with depression or other forms of mental illness, the emotional center of the brain, the amygdala, is known to be hyperactive. Yet the primary differences the researchers uncovered in suicidal individuals, such as fewer neurons and a thinner cortex, weren’t in the amygdala: They were in the anterior cingulate cortex and dorsolateral prefrontal cortex, which control how individuals subjectively assess the stress of their condition. In addition, the ability to learn and problem solve was stronger in suicidal individuals than depressed people. Finally, those prone to suicide seemed to have difficulty reading social signals, were hypersensitive to negative social cues and had a reduced response to positive social cues. They perceived the world as less helpful, more critical and threatening. Dr. Todd Gould, a professor in the departments of psychiatry, pharmacology, and anatomy and neurobiology at the University of Maryland School of Medicine, notes that those who study the neurological causes tend to break the problem into two parts and study them separately: the thought of acting and the act itself. The thought that life is not worth living often goes with depression, Gould says. But the biological circuits involved in impulsivity and decision-making play a key role in the willingness to act on those feelings. Many individuals are prevented from acting on the desire to die because they think about how it might affect their families and friends, and after weighing the risk and benefits, they conclude the cost would be too great. But suicidal individuals often act before contemplating the consequences. Aggression also seems to be involved. Gould notes that as far back as Sigmund Freud, theorists have suggested that suicide is aggression turned inward. He has been studying the circuits involved in impulsivity and aggressiveness in animals and notes that a growing body of research has shown that the effectiveness of lithium salts in reducing suicide amongst depressed patients likely stems from its ability to affect these circuits. A number of studies have found that ketamine can quickly deliver a sharp reduction in suicidal thoughts, and the FDA approved a new ketamine-based nasal spray in March. But the mechanisms behind it are not well understood yet, he adds. The best solution, most agree, is screening. Mann suggests everyone should be screened at least once a year—and those deemed at risk far more frequently. Even questions such as “Do you find life worth living?” could go a long way toward identifying those at risk, he says. Meanwhile, neuroscientists are finding new ways of detecting who is at risk that may be even more powerful. In 2017, researchers at Carnegie Mellon University and the University of Pittsburgh used machine-learning algorithms to teach a computer to differentiate between the brain scans of suicidal and non-suicidal individuals. The researchers read a list of 30 words to people with and without suicidal tendencies. Just and his colleague Dr. David Brent found that the brain patterns elicited by just six words—death, cruelty, trouble, carefree, good and praise—were enough for their machine-learning algorithm to identify the participants with suicidal thoughts 90 percent of the time. 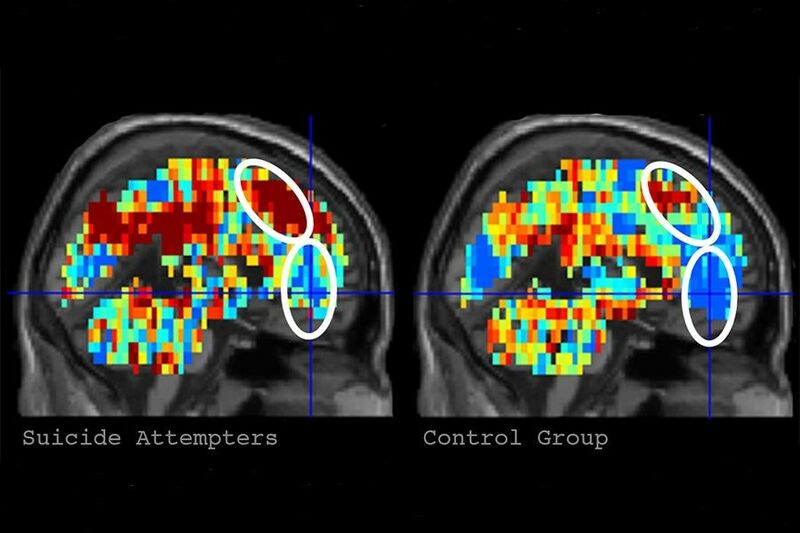 The program could even tell the difference between those who had attempted suicide and those thinking about it at 80 percent accuracy. The activation patterns were systemic and distinct. Most notably, when the six words were read, the areas of the brain involved in “self-reference” were far more active in those with suicidal tendencies. That is, the word death might evoke thoughts of war-torn countries for some people, but in people predisposed toward suicide, the areas of the brain that lit up are involved in thinking about and defining oneself. The technique could be used to guide therapy and measure whether it is working to reduce the risk of self-harm, Just says. Jeremy Richman, an accomplished pharmacologist and biologist who had an appointment as a faculty lecturer in psychiatry at the Yale School of Medicine, was probably aware of all this research. But it wasn’t enough to save him.